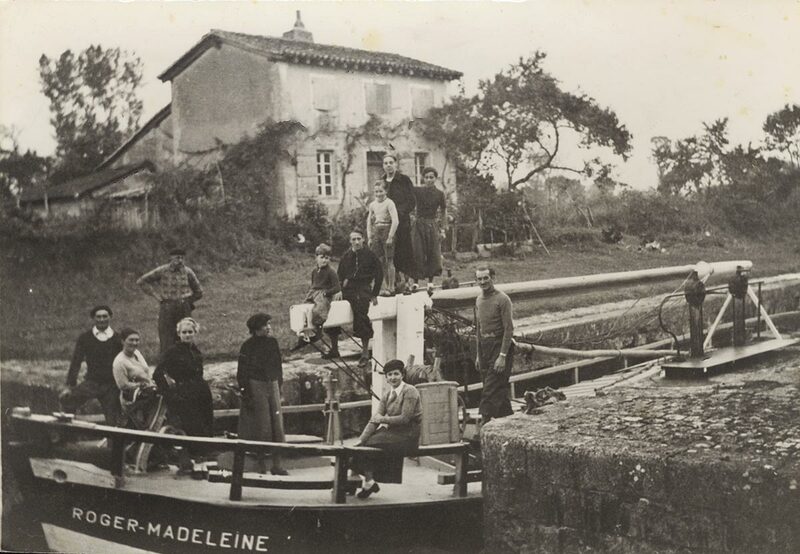 It was possible to travel up the river as far as Castillon on the rising tide. At Libourne and Bergerac, “saquiers” (from of old French verb “to pull”) loaded some of the “gabares”, those which were not destroyed onsite, with salt, and set out again towards Souillac on tow. These boats could also bring back coffee, sugar and citrus fruit. They were drawn by teams of oxen, which were replaced throughout the route that ran alongside the river. But there were many incidents between “gabariers” and riverside landowners, while herdsmen (preferred by the boatmen) and haulers fought over the market. The haulers argued in favour of human haulage as opposed to the use of animals. It took nearly twenty men, split into two teams, to haul a “gabare” over 5km. But it took around a hundred to pass difficult sections such as the rapids of the Saut de la Gratusse. Competition was such that a prefectorial order of 1812 on haulage conditions on the Dordogne stipulated: “Haulage shall be carried out exclusively by oxen, by one or more pairs, according to the need of the towns where the haulage routes permit. Towing by hand can only be carried out where the assistance of oxen is impracticable and by a number of men not exceeding five or six per boat, route or haulage team, not including the people on the boat on tow”. But the manoeuvre was scarcely easy when the steep slope of the river sometimes prevented passage completely, such as the “cingles” (meanders of the river) at Trémolat and Montfort. The oxen could not pass, and so it was haulers, assistance by boatmen, who pulled the “cordelle” (the rope used to pull the boats). Traffic was very heavy on the Dordogne. According to navigation bureau lists, there were 438 boats in 1858 and 571 in 1860. 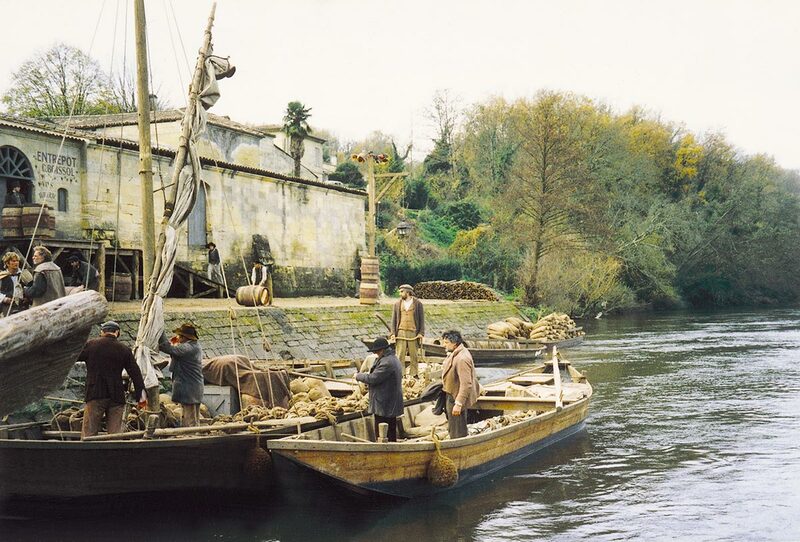 180,000 tons of merchandise passed through the port of Bergerac in 1853 and 216,000 tons the following year.